Christopher Buckley is a novelist, essayist, humorist, critic, magazine editor and memoirist. His books have been translated into sixteen foreign languages. He worked as a merchant seaman and White House speechwriter. He has written for many newspapers and magazines and has lectured in over 70 cities around the world. He was awarded the Thurber Prize for American Humor and the Washington Irving Medal for Literary Excellence. "One of the funniest writers in the English language." "The quintessential political novelist of our time." "At a time of high political absurdity, Buckley remains our sharpest guide to the capital, and a more serious one than we may suppose." "Christopher Buckley is America's greatest living political satirist." "Christopher Buckley is the nation's best humor novelist." 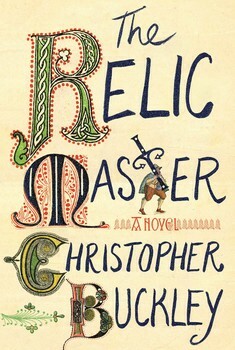 "Christopher Buckley doesn't merely observe the zeitgeist better than anyone else on the planet. He anticipates it -- and routinely has a new novel finished at the precise moment when everyone else is about to notice that something is afoot." Coming in November: Make Russia Great Again. I am happy to hear from you, but regret that I don't have the time to read manuscripts or recommend agents and publishers.